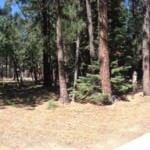 3843 Figueroa Ln South Lake Tahoe CA offered at $119,900Rare opportunity-multi family 2 allocations. Build a this year on this large lot which is walking distance to Heavenly Village & Gondola, casinos and restaurants. Lot is 10,019 sf with 25% coverage and 847 ipes score. USFS lot across the street. Live in or use one side as a vacation home and rent out the other side for rental revenue. GREAT OPPORTUNITY!! !Continue Reading! 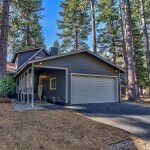 746 Wentworth Ln South Lake Tahoe CA offered at $414,900Amazing Remodel! A must see! Entire home tastefully remodeled with designer finishes. NEW features include: electrical service, gas line, roof, furnace, windows, driveway, flooring, soft close cabinets, bath vanities, designer plumbing & lighting fixtures, modern curved tub/shower combo with glass curved door, stainless appliances, gas insert fireplace, led lighting, interior & exterior paint, good neighbor fence. All this in the wonderful sought after...Continue Reading!